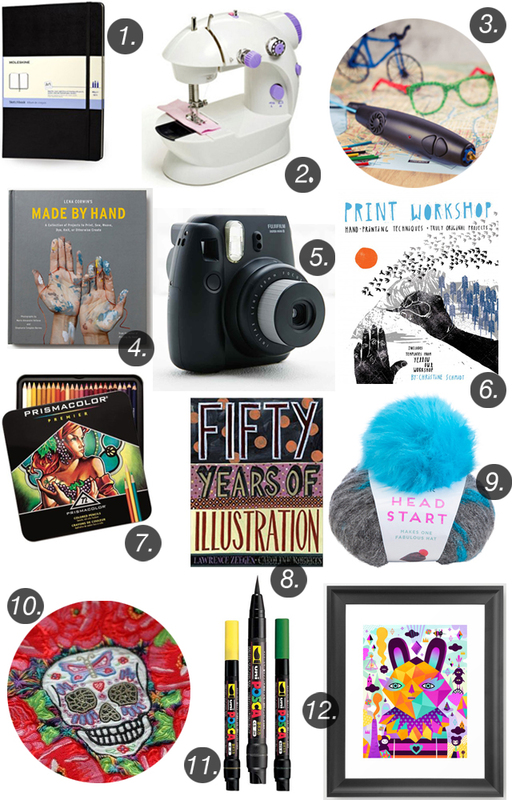 This is the second part of my three part gift guide, The Creative's Gift Guide. I compiled another gender-neutral guide in which I have included some gift ideas perfect for those with hobbies in illustration, needlecraft, print, knitting and more. As an illustrator myself, I would happily receive any of the above gifts and I hope that if you are stuck for ideas for that arty friend or family member, that this guide is inspiring and a good starting point. How neat! I love ALL of these - seriously! What a great list :) I'll definitely be checking some of these out (especially #2 - how handy is that?) Thanks for sharing!